“The March for Return has sent a message that made a decision to start the revolution and pave the way for our freedom,” Fawzy Barhoum tweeted. 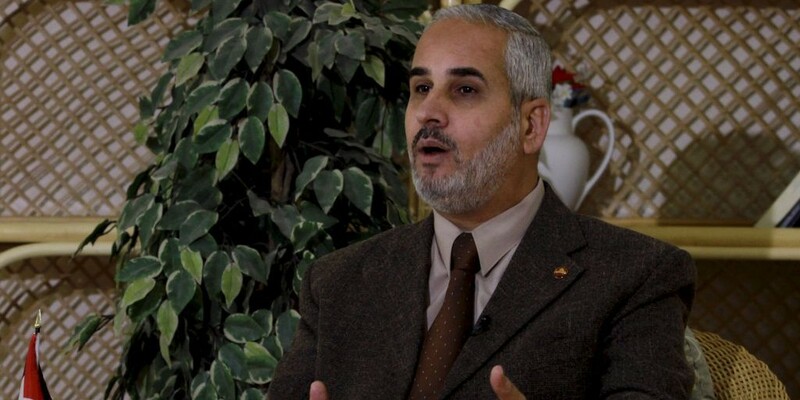 The protests, Barhoum said, would “break the siege and restore our rights.” He vowed they would continue until “a major breakthrough” was reached. He said the world should “wait for our great move, when we breach the borders and pray at Al-Aqsa,” referring to the Muslim holy site in Jerusalem. 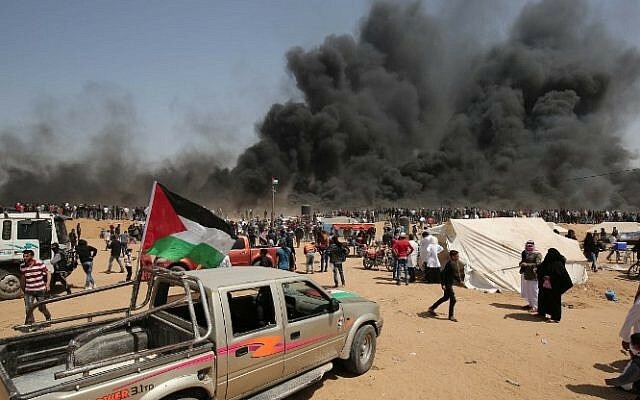 The day’s violent demonstration was the second of what Gaza’s ruling Hamas terror group said would be several weeks of “March of Return” protests which the group says ultimately aims to see the removal of the border and the liberation of Palestine. Tens of thousands of Gazans gathered along the border, burning tires and throwing firebombs and rocks at Israeli soldiers, who responded with tear gas and live fire, the army and witnesses said. 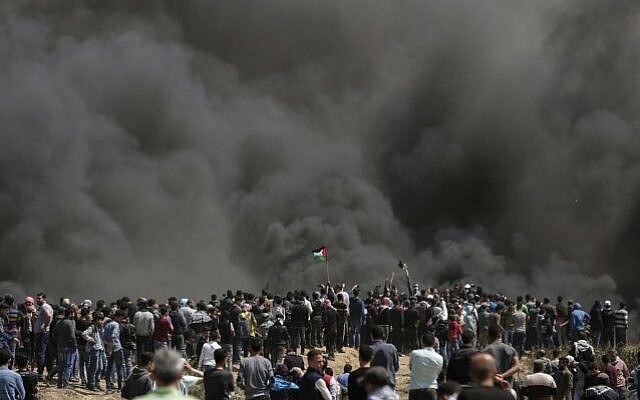 Quoting Hamas figures, the UN ambassador to the UN, Riyad Mansour, told reporters at UN headquarters in New York late Friday that nine Gazans were killed by Israeli fire, and over 1,000 injured. 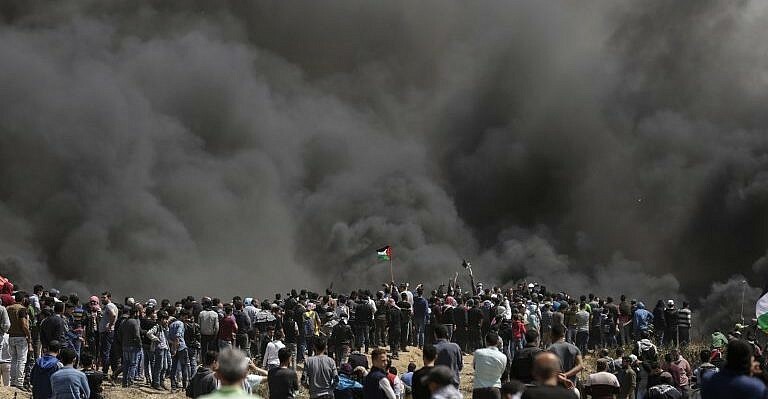 The IDF said Friday it thwarted multiple efforts to breach the border fence during the protests — and that it used live fire to do so in some instances — as well as attempts to activate bombs against the troops under the cover of smoke. “Rioters have attempted to damage and cross the security fence under the cover of smoke from their burning tires. They also attempted to carry out terror attacks and hurl explosive devices and firebombs,” the IDF said on Friday evening. “Our forces prevented breaches” of the fence. 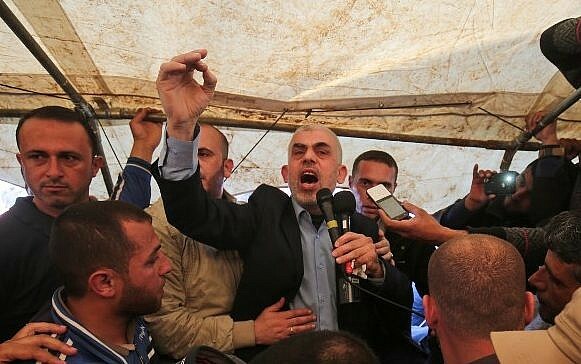 Israeli authorities on Friday evening informed the Palestinian official who oversees the entry of goods into Gaza that a delivery of truckloads of tires set to enter from Israel on Sunday had been cancelled, in the wake of their use by demonstrators. 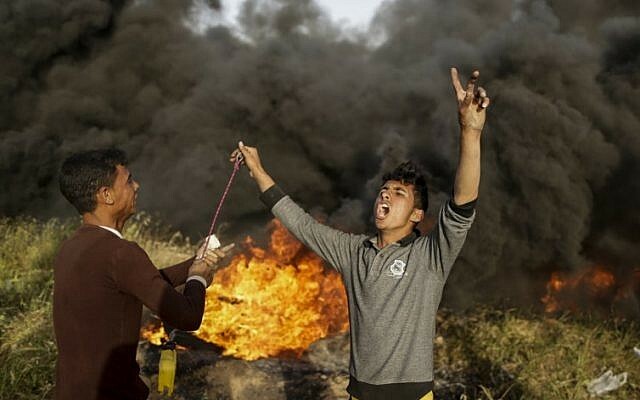 Gaza leaders have planned a series of so-called Marches of Return culminating in a planned million-strong march in mid-May, to coincide with Israel’s 70th Independence Day, the opening of the US Embassy in Jerusalem, and Nakba Day — when the Palestinians mark what they call the “catastrophe” that befell them with Israel’s creation. At previous peace talks, the Palestinians have always demanded, along with sovereignty in the West Bank, Gaza, East Jerusalem and the Old City, a “right of return” to Israel for Palestinian refugees who left or were forced out of Israel when it was established. The Palestinians demand this right not only for those of the hundreds of thousands of refugees who are still alive — a figure estimated in the low tens of thousands — but also for their descendants, who number in the millions. No Israeli government would ever be likely to accept this demand, since it would spell the end of Israel as a Jewish-majority state. Israel’s position has generally been that Palestinian refugees and their descendants would become citizens of a Palestinian state at the culmination of the peace process, just as Jews who fled or were forced out of Middle Eastern countries by hostile governments became citizens of Israel. An Islamist terror group, Hamas violently took control of Gaza from Mahmoud Abbas’s Fatah in 2007, two years after Israel withdrew its military and civilian presence from the Strip. 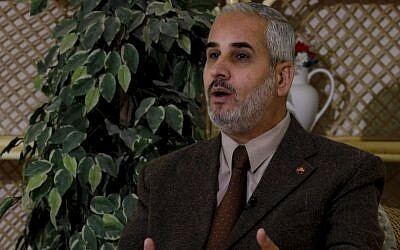 Israel and Egypt maintain a security blockade of Gaza. Israel says this is vital to prevent Hamas — which has fought three rounds of conflict against Israel since seizing Gaza, firing thousands of rockets into Israel and digging dozens of attack tunnels under the border — from importing weaponry.